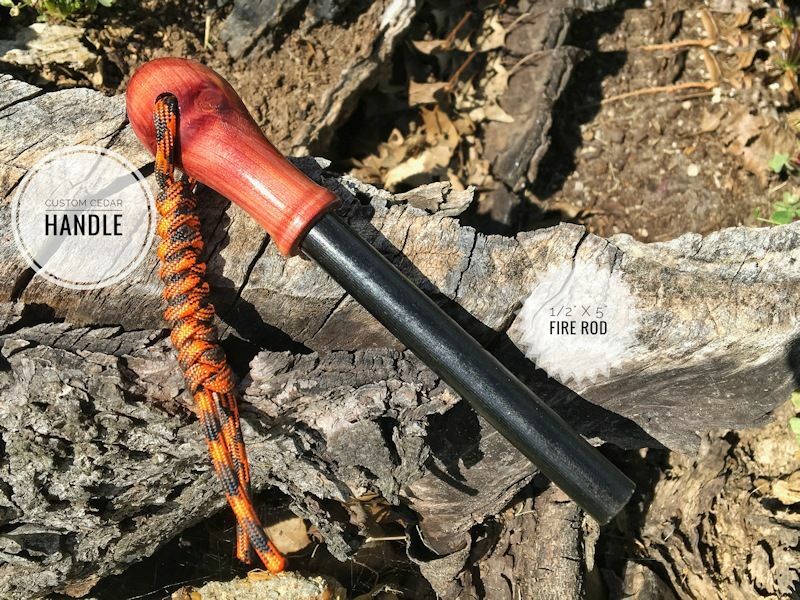 This is a custom fire rod made from cedar. The rod is 1/2" x 5" and will give you over 100,000 strikes! The handle is custom hand turned of cedar with 3 coats of poly for awesome look and protection.